Experience and knowledge are two key ingredients for success in achieving your real estate goals. Holly Fordham began selling real estate in 2004 and has personally sold in excess of 50 million dollars of settled sales. While selling, Holly was recognized as one of the top real estate sales consultants in Wellington, regularly featuring in the Wellington top 20 and national top 100 of sales consultants. 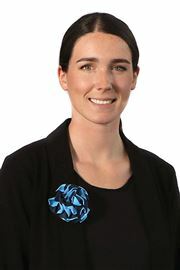 In addition to this, Holly was the sales manager at Harcourts Paremata, where as an office, they were awarded Top revenue (and per sales consultant) for the Wellington region and New Zealand in group 2 (7-12 agents) for 3 years running. 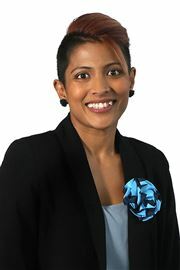 Not one to sit idle, Holly saw a real opportunity at Harcourts Khandallah to grow an award winning office and is excited about developing another Harcourts office who dominate market share within the Wellington market. When it comes to real estate requirements, Holly has the expertise and background to gain optimal results giving her the edge in the market when working for you. Holly is known for her energy and passion, her honesty, commitment, and integrity - As her success, and many glowing testimonials attest. Adeline works with the award-winning Murray Potts Team, together they are a dynamic duo ensuring their clients receive world class real estate service and results. Adeline brings her career in Project Management to the team, along with a real tenacity and dedication to get the best possible outcome for your property – whether selling or buying. Adeline lives and breathes Wellington - Her 3 children attend the local Khandallah Primary School and she is very much involved in community life. Adeline believes in honesty and integrity – Upon meeting her, you will soon discover everything she undertakes is with 100% commitment and she is looking forward to working some real estate magic for you. 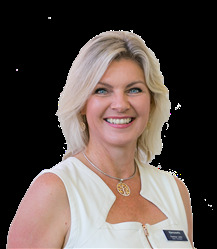 Adeline is an agent with an up to date knowledge of the market, marketing expertise, professionalism and most importantly she is an excellent communicator who will ensure your buying or selling experience is as stress free as possible. Clare brings a wealth of knowledge to an exciting Wellington property market. She is a strong communicator and negotiator with a passion for professionalism. 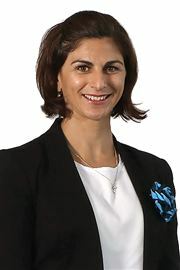 She will provide you with the focus and integrity to complete your property dealings whilst providing you with a quality service. Experience over the past 20+ years in sales provides a balanced knowledge of the sales process and the skills to be prepared for all situations. You are entrusting your agent with a very important part of your life, possibly your biggest asset. You want to get the best results to maximize the sale of your property and be kept informed along the way. With her extensive network within Wellington, attracting the right buyers to your property and managing the process is a task that Clare will address with a consistent and enthusiastic approach. Living in the Northern Suburbs, Clare joined Harcourts to be part of a successful team that enjoys growth and strong market presence. Latest testimonials: "We first met Clare around a year before she sold our family home. We were on the lookout for a new home with a bit more space to meet the needs of our growing family. Clare showed us a number of potential properties and was always attentive, proactive and flexible. For this reason, it was an easy decision to choose Clare to sell our existing home after we eventually found a new property. Clare worked with us to develop a marketing plan that maximised the exposure of our property, whilst at the same time acknowledging the fact that we were still living in the property with two young children. Clare’s hard work resulted in a great outcome for us. We have met a number of real estate agents around town, and by far Clare is the best that we have come across. We have no hesitation in recommending Clare”. David and Jennifer Stephen, Wellington "Clare recently sold my daughter’s apartment. She was wonderful. She listened to what we wanted, provided options that gave us the feeling of being in the driving seat, developed a marketing plan that was highly successful and the result exceeded our expectations. Her communications and processes were open and honest and there were no surprises. We will be back to her for our next property transaction." Prue Kelly, Wellington. Call Clare today to discuss your property requirements. Now is good! 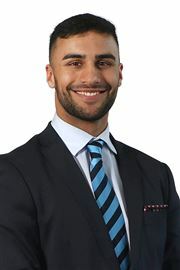 As the No 1 agent in the area, Murray brings an engaging style and passion to the Harcourts Khandallah team. A strong 12 year background in real estate business throughout the Wellington City area, follows his successful 20 year IT career in New Zealand and overseas. 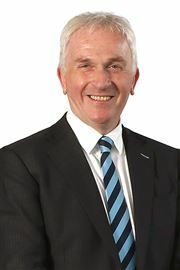 Murray has become a consistent leader with a reputation for tenaciously protecting his client’s interests. Savvy negotiating and cutting-edge marketing strategies join uncompromising integrity as the hallmarks of Murray’s service. Murray works tirelessly to promote the uniqueness of each property and to build a marketing campaign that is just as individual. He works closely with clients to keep them well informed by providing information on market trends, purchasing opportunities, or changes that may have an effect on buying or selling decisions. Murray’s dedication to his clients is paramount. He has proven commitments to the local community, with a strong belief in generosity of spirit and a sense of giving back though his volunteer work. He lives locally which enables his ease of availability. Whether buying or selling, Murray will provide you the special attention one expects of a dedicated, top-producing real estate professional. With passion, perseverance, unwavering loyalty and a desire to always exceed client expectations, Murray is set to be the agent of choice for you. As a proud Wellingtonian, Penelope brings her clients not only intimate knowledge of the Wellington area but also strong networking skills, using her connections to market properties to their full potential. With 15 years of corporate sales and marketing behind her, Penelope knows exactly how to communicate and negotiate concisely to deliver exceptional customer service. Why Sell Your Property With Penelope? Penelope's natural instinct for sales and passion for success make her a great choice for your real estate needs. Her local knowledge and own unique results drive sales process mean she is able to market your property, negotiate the best price and ultimately deliver great results for your home. Penelope loves to use technology, internet and social media resources to change the way in which we approach the buying and selling process. Penelope strongly believes that using modern technology to its full potential can only make the way in which we network, conduct business and manage work all the more successful. Above all, Penelope knows how to connect your home with the right group of buyers. Her bubbly and enthusiastic personality make her a pleasure to deal with and she believes that being responsive and keeping in contact with the client is paramount. "I'm part of the best team in Wellington and utilise the best available social business technology. My real local knowledge and passion to achieve the best results for your home is hard to match." As Good As New for the Family! Don't Fuss with The Bus! Our bags are being packed!! 2 Incomes on 1 Title! Come Home to the Harbour! With a View for Style! Pop Up To The Penthouse! Come Home to the Village! Live in One - Rent the Other! Imagine This Could Be Yours! !